Chin strap held on the helmet by 4 rivets. Adjustable nylon straps with double adjustment (adjustment triangle for front/back lengths balanced or uneven), a fast self-locking buckle (dual-lock) and an anatomically designed pad in leather. Fitted to the back band. The nape protector is anatomically designed. 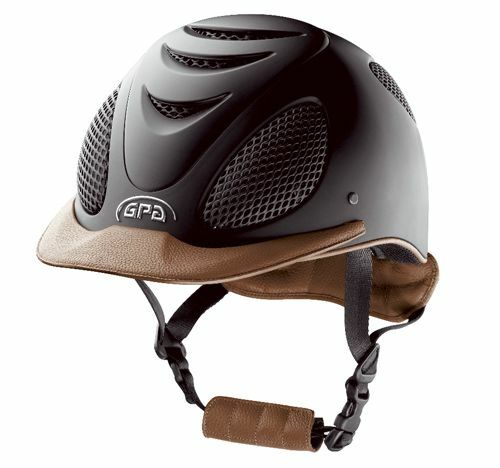 Fixed on the harness of the chin strap (not the helmet) to allow the ideal positioning of the helmet and ventilation of the back of the neck.